Many have been taught that the Church will be raptured, then for seven years God pours out His wrath. They base this concept, that rapture comes first then wrath, off of passages like Luke 17:26-29. This is partially true except nowhere in the Bible does It say that the seven years, Daniel’s seventieth week, are God’s wrath. It is not until after the seven years that God’s wrath is poured out. Most Post-Trib believers think the Church will be here during God’s wrath. According to the Bible, the Church will be here during the time of the Antichrist and the first six trumpets – which are extremely difficult times – but the actual wrath of God does not start until Jesus returns. In fact, the Church is FIRST raptured, THEN Jesus pours out His wrath for those remaining on the earth. The Bible promises to the Christian that they will never endure the wrath of God. It says in 1 Thessalonians 5:9, “For God hath not appointed us to wrath, but to obtain salvation by our Lord Jesus Christ,” That being true, it is beneficial to know when the wrath of God begins. The Bible is clear about the timing of His wrath. It is known as the Seven Bowls of God’s Wrath (Rev. 15:1, 6, 7), which happens during the Seventh Trumpet (Rev. 11:18), which is during Sixth Seal (Rev. 6:15-17). The timing of the Seven Bowls of God’s Wrath are AFTER the seven years at the time of Armageddon when Jesus returns to rapture His saints THEN pour out the wrath of God which you can read in detail in Revelation chapters 16, 18, and 19:11-21. Luke 17:26-32 KJV And as it was in the days of Noe, so shall it be also in the days of the Son of man. (27) They did eat, they drank, they married wives, they were given in marriage, until THE DAY that Noe entered into the ark, and the flood came, and destroyed them all. (28) Likewise also as it was in the days of Lot; they did eat, they drank, they bought, they sold, they planted, they builded; (29) But THE SAME DAY that Lot went out of Sodom it rained fire and brimstone from heaven, and destroyed them all. (30) Even thus shall it be in the day when the Son of man is revealed. (31) IN THAT DAY, he which shall be upon the housetop, and his stuff in the house, let him not come down to take it away: and he that is in the field, let him likewise not return back. (32) Remember Lot’s wife. Luke 17:33-37 KJV Whosoever shall seek to save his life shall lose it; and whosoever shall lose his life shall preserve it. (34) I tell you, in that night there shall be two men in one bed; the one shall be taken, and the other shall be left. (35) Two women shall be grinding together; the one shall be taken, and the other left. (36) Two men shall be in the field; the one shall be taken, and the other left. (37) And they answered and said unto him, Where, Lord? And he said unto them, Wheresoever the body is, thither will the eagles be gathered together. Matthew 24:37-42 KJV But as the days of Noe were, so shall also the coming of the Son of man be. (38) For as in the days that were before the flood they were eating and drinking, marrying and giving in marriage, until THE DAY that Noe entered into the ark, (39) And knew not until the flood came, and took them all away; so shall also the coming of the Son of man be. (40) Then shall two be in the field; the one shall be taken, and the other left. (41) Two women shall be grinding at the mill; the one shall be taken, and the other left. (42) Watch therefore: for ye know not what hour your Lord doth come. 1 Thessalonians 4:16-18 KJV (16) For the Lord himself shall descend from heaven with a shout, with the voice of the archangel, and with the trump of God: and the dead in Christ shall rise first: (17) Then we which are alive and remain shall be caught up together with them in the clouds, to meet the Lord in the air: and so shall we ever be with the Lord. (18) Wherefore comfort one another with these words. 1 Thessalonians 5:1-3 KJV (1) But of the times and the seasons, brethren, ye have no need that I write unto you. (2) For yourselves know perfectly that the day of the Lord so cometh as a thief in the night. (3) For when they shall say, Peace and safety; then sudden destruction cometh upon them, as travail upon a woman with child; and they shall not escape. Notice again the order of the rapture when the Lord comes, THEN destruction that comes upon “them” – the wicked who are not prepared for His coming. He will come upon them like a thief in the night, but to the watching Church He will come as expected. He only comes as a thief in the night to the wicked, never to those looking for His coming. Church, we will be here for the entirety of the seventieth week but at the end, the Lord shall appear to rapture us to be with Him. Then He pours our His wrath, the bowls of wrath, on those left. Nowhere in all of Scripture is any portion of the last seven years described as God’s wrath (specific wrath; there is a general wrath that God pours out anytime He sees fit but it never destroys several nations and large portions of the earth like the specific wrath I am referring to at the end). 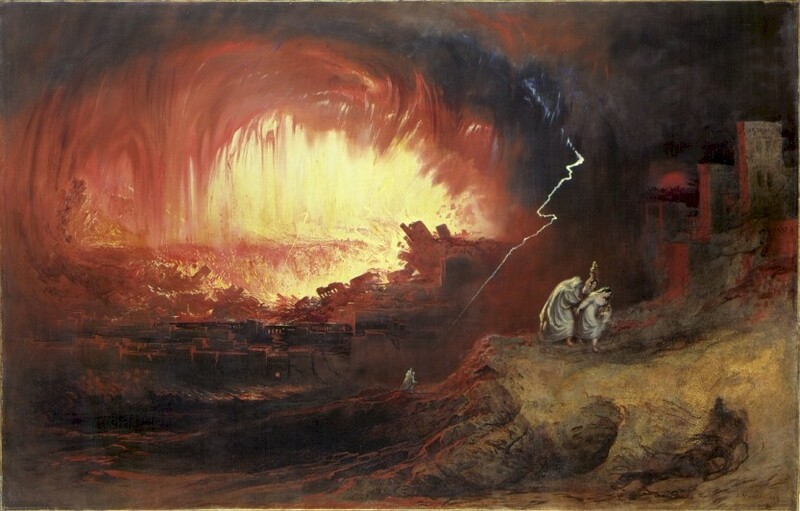 The teaching that the last seven years is God’s wrath is something concluded by those who believe in a pre-trib rapture and is just as wrong as the pre-trib doctrine itself.